One of the best ways to interact with your visitors is through Facebook comments. 1. 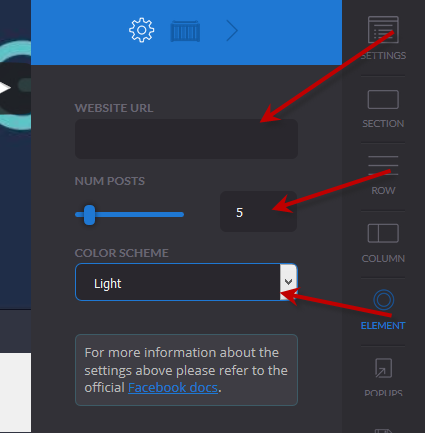 Drag and drop the Facebook element onto your page. 2. Click on the element and select Style. 3. Enter the page URL, and select the number of posts you wish to display on the page. You can also change the Color Scheme to Light or Dark.